I found this bug many time earlier, it prevents me from writing music - I cannot finish my track, so I give it severity "major". Only the first of notes play in such sequence of notes (screenshot 1) (<bug_linuxsampler_what_we_have.mp3>). But expected that must play something like this: <bug_linuxsampler_what_we_wait.mp3>. 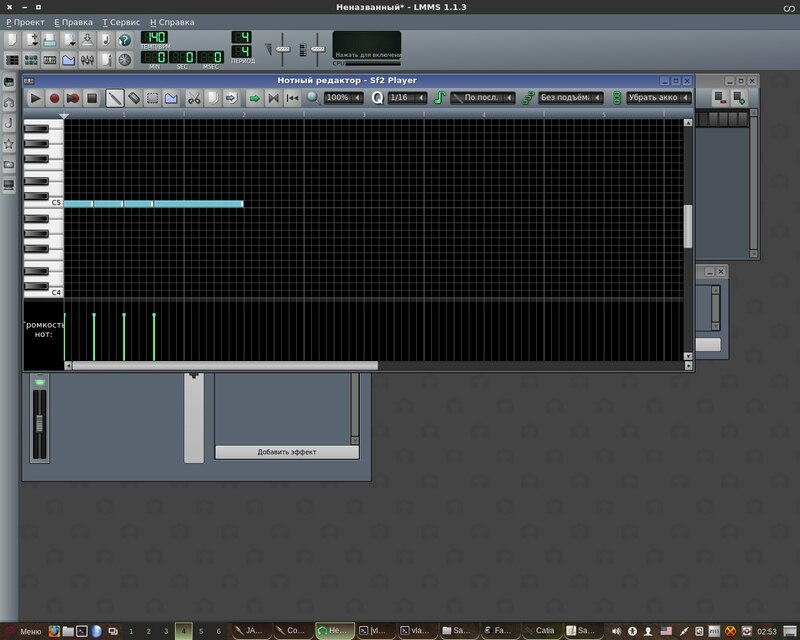 With Jack I connected notes from LMMS's Piano Roll to Linux Sampler (screenshot 2). 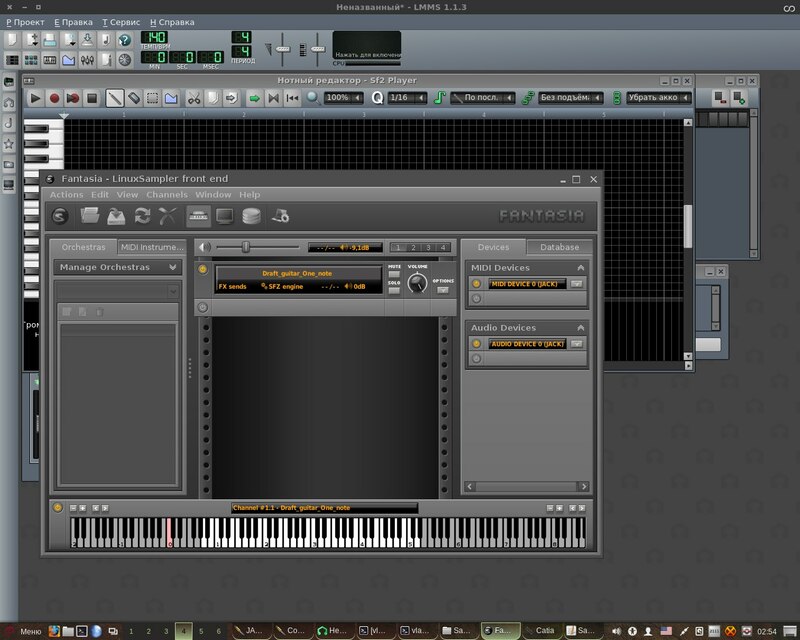 Instrument was loaded with Fantasia GUI (screenshot 3). 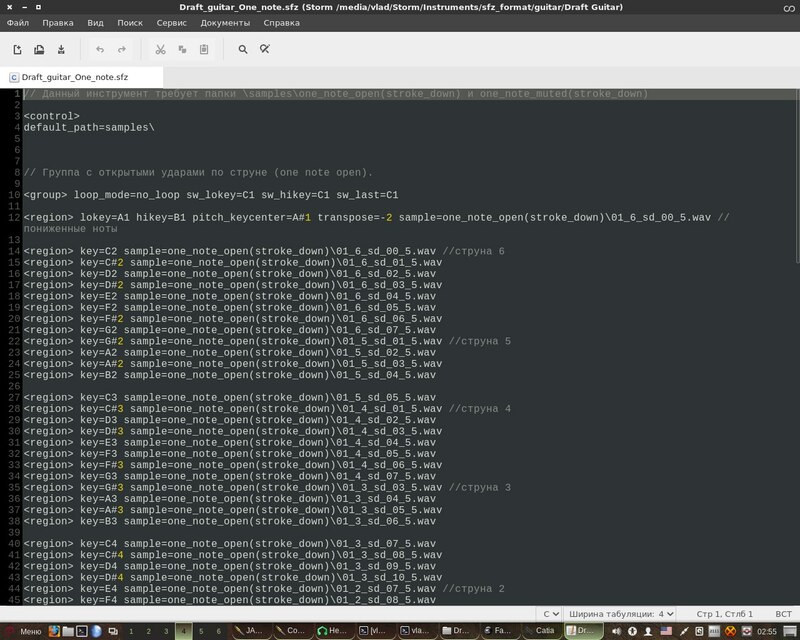 Example of .sfz file is on screenshot 4. Full file was attached to file exchanging service (I'll try to attach it here after publishing). I use Debian unstable x64. Linuxsampler 2.0. 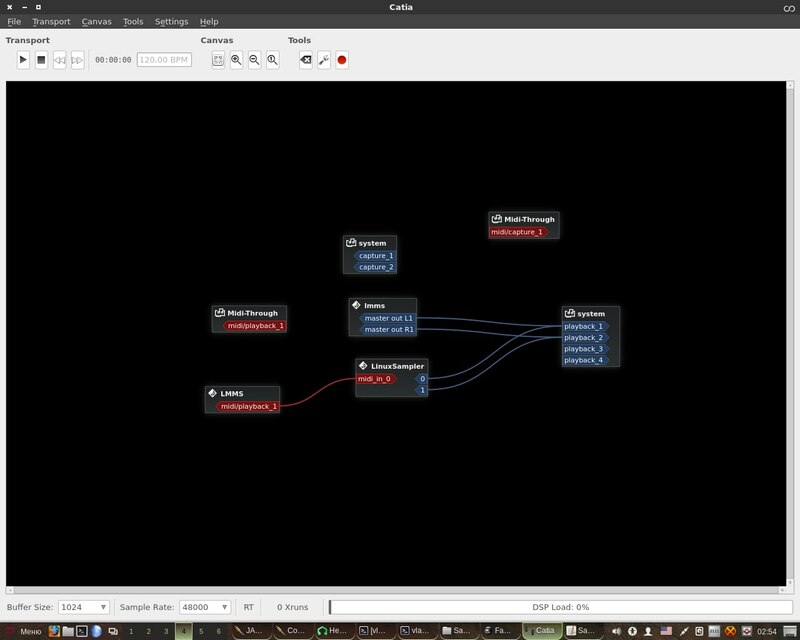 LMMS 1.3, Fantasia GUI 0.9. I would be glad if you'll correct it. So as appeared way to add attachments after I posted bug in separate messages and there is no possibility to edit bug message, I added them commented below. And you think there is a bug where exactly? In the implementation of some specific SFZ opcode? Driver? LinuxSampler setting? In general please always provide a stripped down version i.e. of the the sfz file that demonstrates the misbehavior you encounter, remove all unnecessary aspects not related to the issue, then attach it as text file to the report. I don't know the code of Linux Sampler, sorry, I cannot tell you where the bug is. You can download full instrument, which produces bug here: http://bugs.linuxsampler.org/cgi-bin/attachment.cgi?id=84 , I write it in comment, because I could not change first message. I was not talking about LinuxSampler code, I was talking about SFZ opcodes (the elements of the SFZ file format) and suggested to you to upload a stripped down (small) version of the SFZ file that causes the misbehavior. Or in other words: Even if you don't know how to code in C++, you can still play around with the SFZ file for instance and check what exactly in the SFZ file is triggering the misbehavior. That will largely increase the chance that your bug reports will be addressed. Please checkout the latest SVN version of LinuxSampler. I am optimistic that it fixes this issue. See also bug 302. I'm closing this report, in case you still think this issue persists, feel free to re-open it.